On August 31st, the Six Flags Entertainment Corporation released their lineup of new attractions coming to their parks in 2018. Some were worth the wait, and others…not so much. I’m going to list off each of the announcements, starting with the ones I thought were the worst, and ending with my favorite Six Flags announcement for the 2018 season. Six Flags America really over-hyped their 2018 announcement. They were doing a bunch of teasing with a Grim Reaper character, and how he would be “removing” one of the attractions in the park. This led a lot of people, including myself, to believe that America was getting a decent new attraction, or even just the recently removed “King Chaos” ride as a hand me down from Six Flags Great America. Instead, they received a redo of their Lazy River. It’s really kind of a bummer that SF America’s marketing department over-hyped this below-average water park addition. The other water park addition from this year’s announcements went to Six Flags St. Louis. 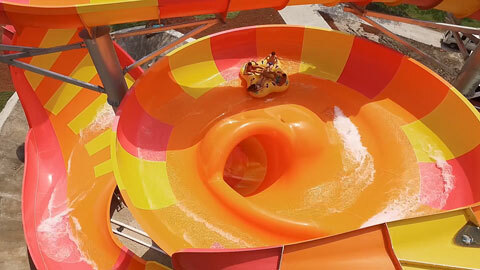 Although this actually looks like a decent water slide, it is definitely not what the park needed. I was really expecting them to get a S&S Free Spin, but it looks like the park will have to go another year without a new coaster. La Ronde was another park that deserved an S&S Free Spin, or some other kind of coaster. They just recently removed their Intamin Stand-Up, leaving them with plenty of space to fit something bigger. 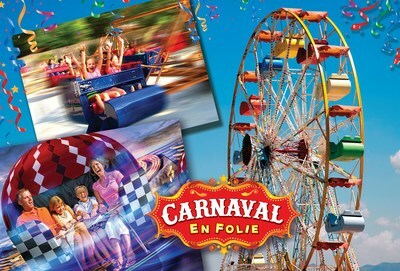 Instead, the park is going with a carnival-like area featuring 3 smaller flat rides. It’s not a terrible addition, but it definitely could’ve been better. Surprisingly, The Great Escape didn’t come in last this year. 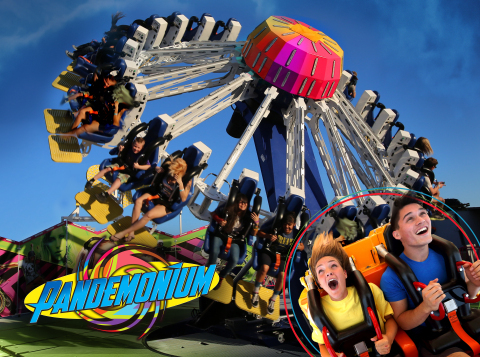 They’re receiving a small, spinning flat ride named Pandemonium. It’s nothing big, but I’d say it’s better than another water slide. Luckily, I’d consider the rest of the rides on this list to be “good additions”. 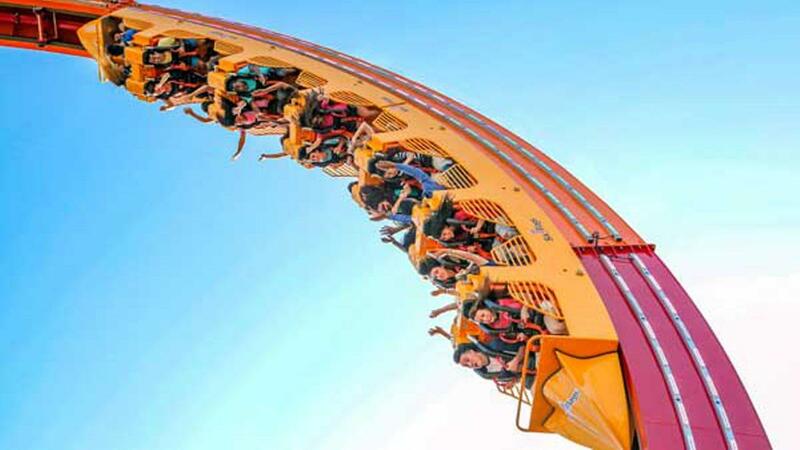 Six Flags Over Texas announced Harley Quinn Spinsanity, one of two “Tourbillion” flat rides to come to Six Flags parks next year. 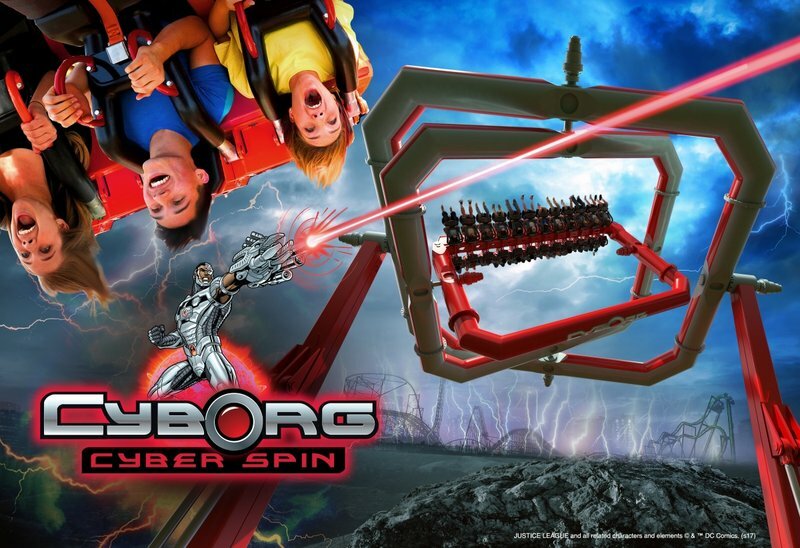 The reason this one is ranked so much lower than the Cyborg-themed one at Great Adventure is the fact that Over Texas already has a ride named Harley Quinn Spinsanity. I’m sure they’ll change the other ride’s name at some point, but it just seems odd to me that Six Flags would work themselves into that predicament in the first place. This is actually one of the few Six Flags predictions I got right this year. SF Mexico will be receiving the only 4D Free Spin to come to the Six Flags chain this year. Although it’s a clone, I still think it will be a solid, thrilling addition to the international park. 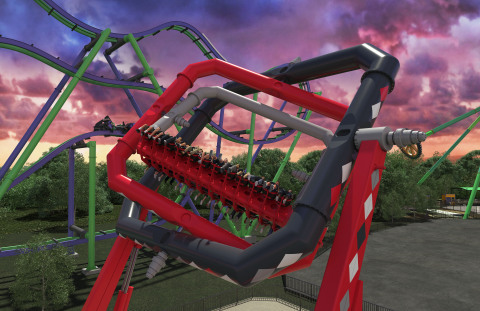 Six Flags New England will also be receiving a thrill ride named Harley Quinn Spinsanity, except this one is a giant pendulum ride that will fling riders up and down 15 stories. This will make a great addition to SFNE in my opinion, as it will add yet another thrilling attraction to their overall decent flat ride collection. As I stated before, Six Flags Great Adventure will recieving the other “Tourbillion” flat ride in the Six Flags chain. Although it will give the exact same experience as its clone coming to Over Texas, I’m giving the edge to Great Adventures version due to its unique Cyborg theming. Magic Mountain will be recieving a pendulum ride similar to New England’s 2018 addition, except it will be the largest ride of its kind. Sure, the ginormous stats are impressive, but I’m actually more impressed with the fact that Magic Mountain is getting a decent flat ride this year! In a park overflowing with coasters, it’s nice to see Six Flags try and diversify the parks lineup of attractions. 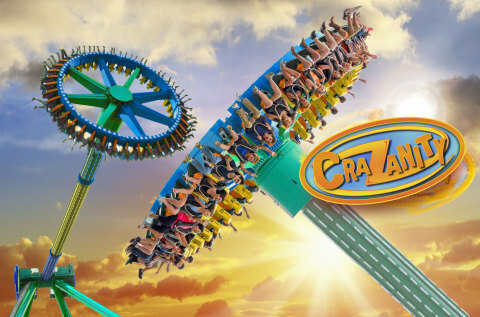 Hopefully CraZanity will be the first of many great flat rides to come to the park over the next few years. Wait, you thought Twisted Cyclone, the only RMC conversion to come to a Six Flags park in 2 years, would be my favorite 2018 addition? Well, you thought wrong. Yes, this does look to be another beautiful work of art from RMC, but it’s nothing we haven’t seen before. Judging by the small, underwhelming layout, I’m betting Twisted Cyclone will be one of the weakest RMC’s out there. However, even a weak RMC is still a good coaster, and I’m sure Over Georgia will have a crowd-pleaser on their hands. Fiesta Texas’s new coaster was announced about a month ago, but it was still featured in the 2018 Six Flags Announcements video. The ride will feature RMC’s new single rail “raptor” track, allowing for a very unique ride experience. The only real problem I have with this ride is the capacity problem, as the ride won’t have very good throughput due to it’s small trains. Other than that, I think the new coaster will be a good fit for Fiesta Texas. Well, Discovery Kingdom will soon be home to my favorite 2018 Six Flags addition, and it isn’t even a roller coaster…who would’ve thunk it. 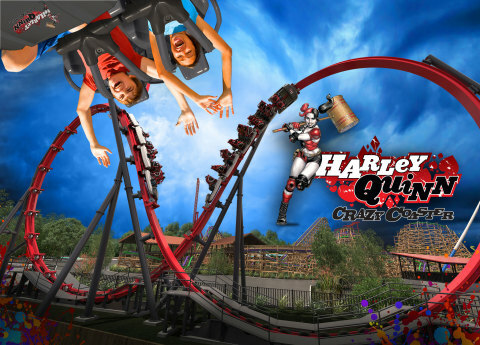 Harley Quinn Crazy Coaster will be the worlds first Skywarp attraction, which is essentially two trains maneuvering through a large figure-8 track. Some people are calling this a “double-super loop”, and although I can understand why, I still think it’s a bit degrading to equate a brand new ride concept to an overused carnival ride. I’m all for Six Flags purchasing and implementing new types of flat rides, and was very surprised that Discovery Kingdom would be the first to receive one. Although it makes sense though if you think about it, especially because of the park’s 150 ft. height restriction limiting what type of attractions they can put in. All in all, I think the Skywarp is a great fit for DK, and I hope that Six Flags will buy more of them to send to different parks in the future.